What’s better than a short story collection about the horrors of womanhood? Arguably, an anthology TV series about the horrors of womanhood. 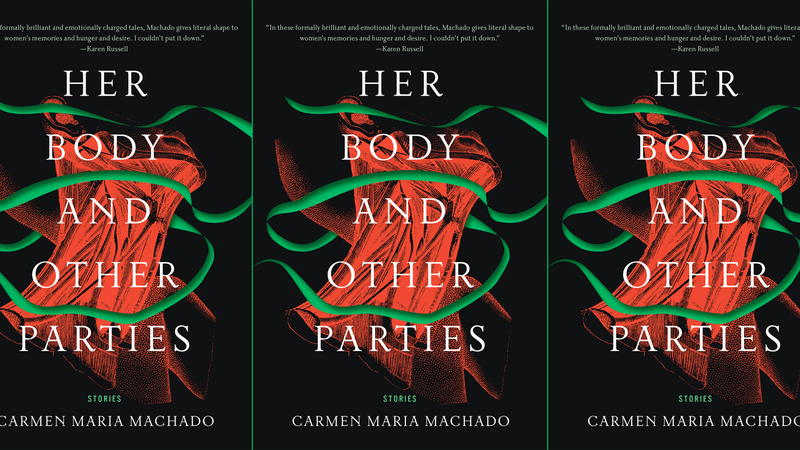 As Vulture reported on Thursday, Carmen Maria Machado’s Her Body and Other Parties–a 2017 finalist for the National Book Award–is currently in development as a Black Mirror-style anthology show. Machado chose Imagine Television (Empire, Parenthood) to develop the project, with writer-producer Gina Welch (Feud, The Terror, Ray Donovan) attached. Samie Kim Falvey, president of Imagine Television, told Vulture that the series will “undoubtedly be a force in the conversation about gender.” Machado’s stories tackle female experience in dark, absurd and often mythical ways, from a woman who lists off her sexual encounters as the world succumbs to a plague, to an unsettling re-write of the scary story classic “The Green Ribbon.” The longest story, “Especially Heinous,” features brief, surrealist summaries of dozens of fake Law & Order: SVU episodes. Whether or not Mariska Hargitay will reprise her role as Olivia Benson for the TV adaptation remains to be seen.